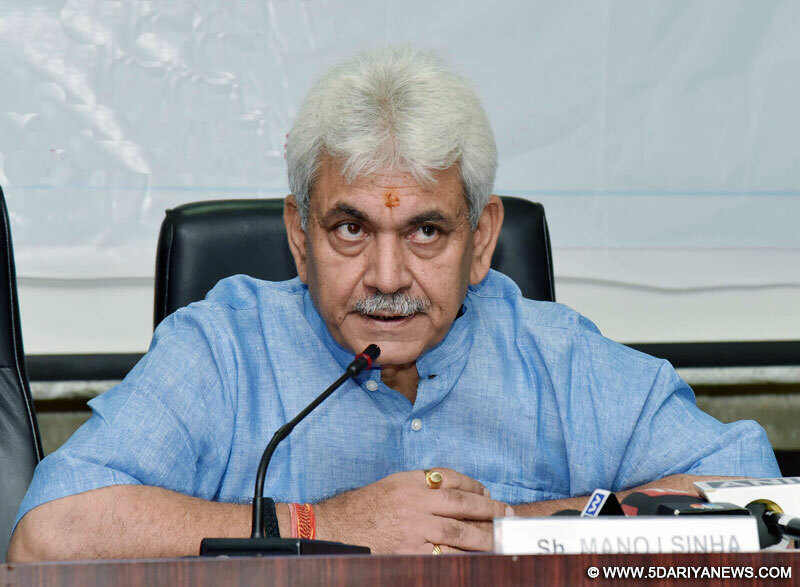 The field officers of BSNL should focus on better customer service and try to change the negative customer perception about BSNL, said ShManoj Sinha, Minister for Telecommunications.The Minister was speaking at the Heads of Circles Conference (HOCC) of senior officers of BSNL being organized at BSNL Corporate office here during 10-11 May, 2018.“Bharat Sanchar Nigam Ltd (BSNL) has many bigger opportunities in near future other than mobile telephony. Many tenders have been finalized for 2G, 3G and 4G services. Market share of BSNL has been improved from 7.6% to 9.43% which is commendable. BSNL can play significant role in Smart City projects, NFS and FTTH. Works worth Rs 150 Crore has been allotted to BSNL under smart city projects, which can be taken as an advantage”, the Minister added.While addressing the function, Ms. Aruna Sundararajan, Secretary, Telecom underlined the need of BSNL to be aggressive and innovative. BSNL is a key partner in BharatNet implementation and has increased market share as well. Smart thinking and smart implementation at this stage will be an edge for BSNL, Ms Sundararajan added.We have deliberately re-named the National Telecom Policy as National Digital Communication Policy (NDCP) 2018 which aims to provide Broadband for All. The objective is that every citizen of India must have broadband of 10mbps speed by 2022. We are also organizing workshops with States to aggressively drive that and make sure that by 2022, broadband becomes available to all, Ms Sundararajan said.BSNL has a clear lead and advantage. While we realize the target of installing five million wifi hotspots by 2020 and 10 million hotspots by 2022, as mentioned in the draft NDCP 2018. 50% of household in India will have FTTH, Ms Sundararajan said.Addressing the Conference, Shri AnupamShrivastava, CMD BSNL said that there is tough competition in the telecom scenario these days. Even in this turbulent times BSNL could not only face the competition head on by matching tariff by tariff and even at times proactively coming up with bold, innovative, unlimited data and voice plans. This has helped BSNL to increase its market share as well as remain MNP positive.The Conference was attended by the Board of Directors and Heads of BSNL Telecom Circles.